The Izy HRG466SK is an 18 inch (46cm) self-propelled rotary lawnmower. By removing the necessity to manually push the mower the HRG466SK offers effortless operation at a comfortable walking pace, ensuring optimum cutting quality even when moving across uneven ground and slopes. The HRG466SK, like all of the mowers in the Honda Izy range, comes with the “Easy Start” GCV 160 OHC (overhead cam) four stroke engine. The advanced auto-choke system prevents flooding ensuring that the HRG466SK really is easy to start in all weather conditions. The HRG466SK is surprisingly light and agile making it the ideal choice for small to medium sized gardens. With the addition of the simple folding handle the HRG466SK can be easily stored even in small sheds and can fit into the boot space of most cars with very little effort. 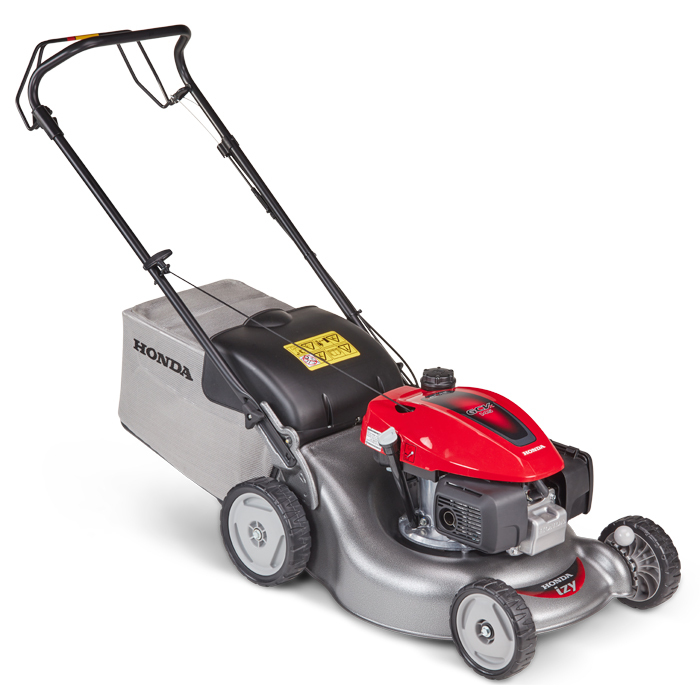 Versatility is something Honda endeavours to offer with all of their lawn-care products and the Izy range is no exception. With 6 different cutting height settings from 20mm to 74mm the HRG466SK can tackle longer grass with relative ease. When faced with long or wet grass, the height adjustment can be changed via levers at the front and rear of the cutting deck allowing the back of the deck to be raised independently from the front, increasing airflow into the collection bag and optimising the mower’s collection capability. Collection is further aided by the inclusion of the generous 55 litre fine meshed grass bag which has been expertly designed to work in conjunction with the cutting deck to maximise airflow whilst effectively containing dust and fine particles ensuring both comfort and efficiency. Optional Mulching kit available - By recycling finely chopped clippings back into your lawn, the izy is as green as your grass.